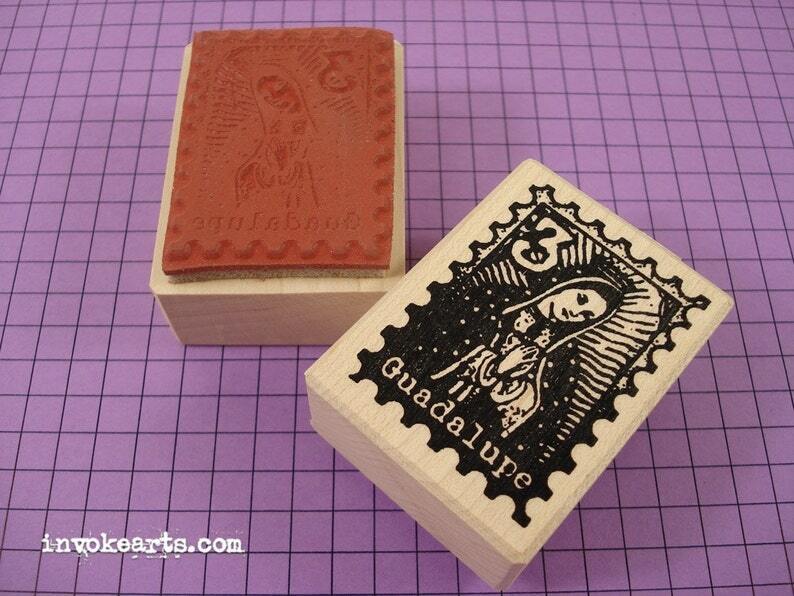 Wood Block Measures 1 1/4" x 2 3/4"
Virgin of Guadalupe Postoid / Postage image adds a fun element to collage stamping, Tag Art, Journals, Mixed Media and Collage. Great shop - Shipped quickly! Will be using this stamp on my mail art envys!